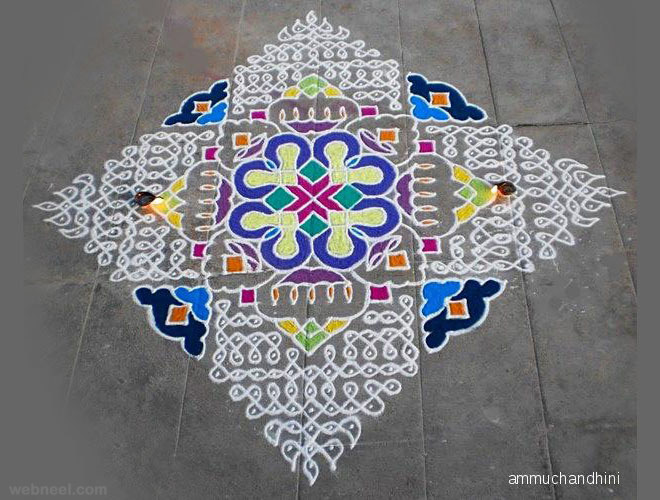 Indians love colours and its natural to show the love for colors in many ways. 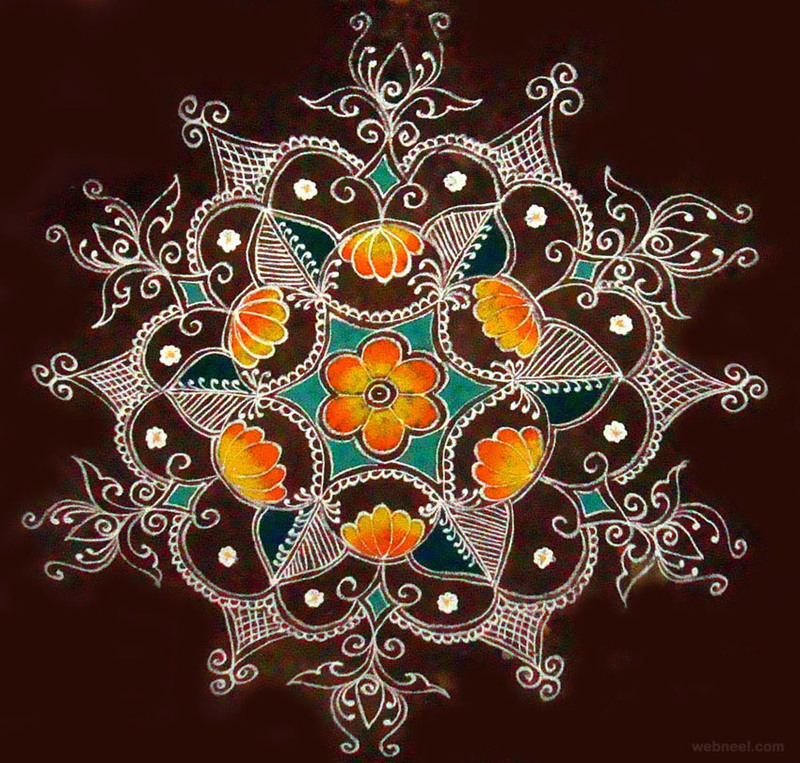 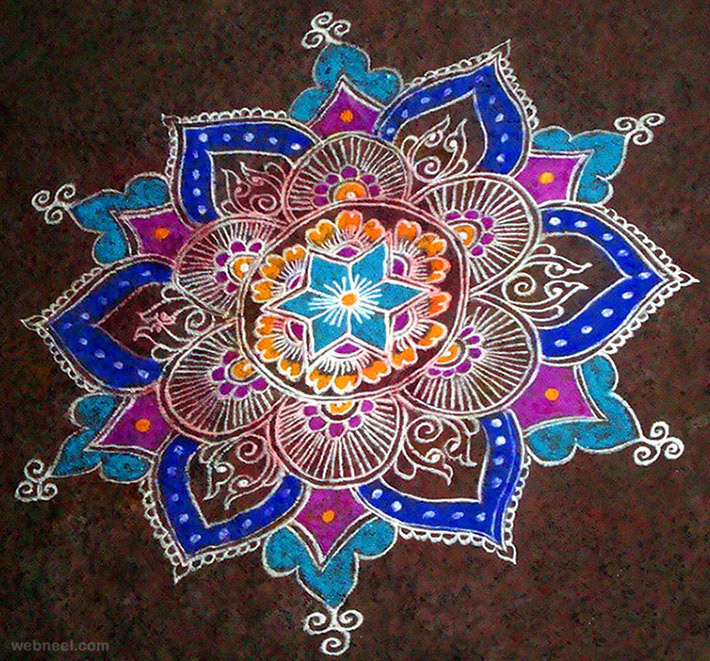 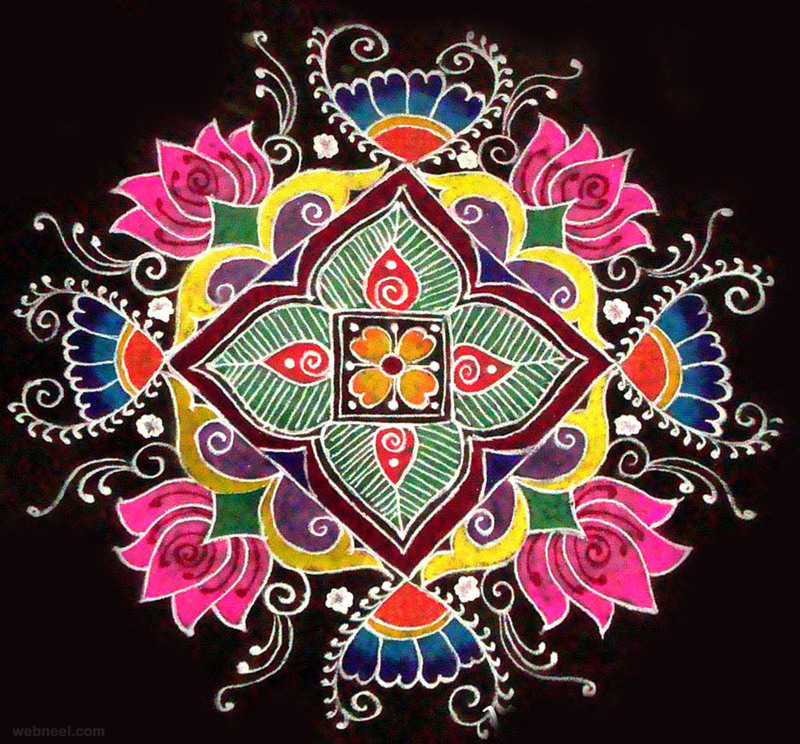 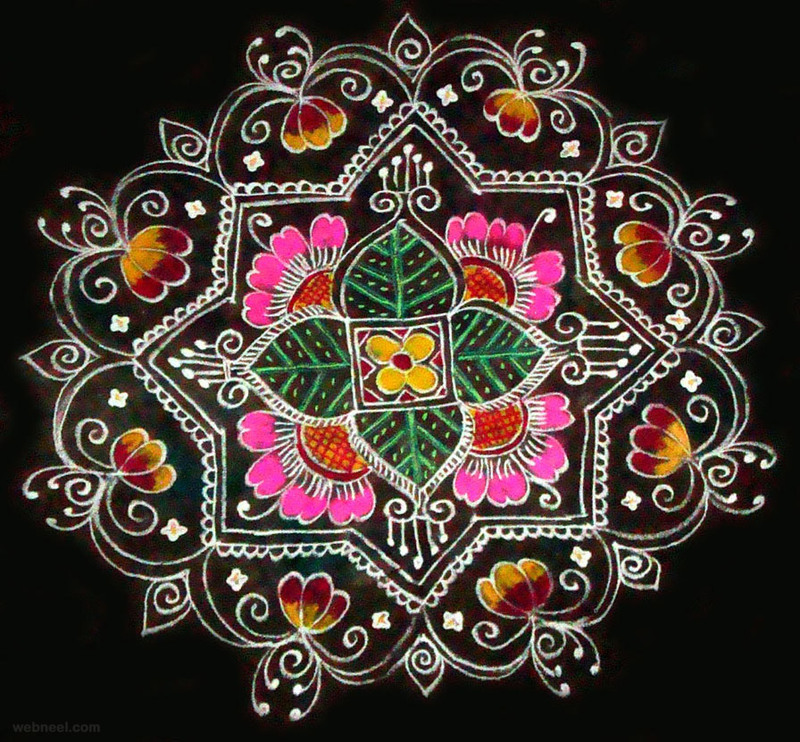 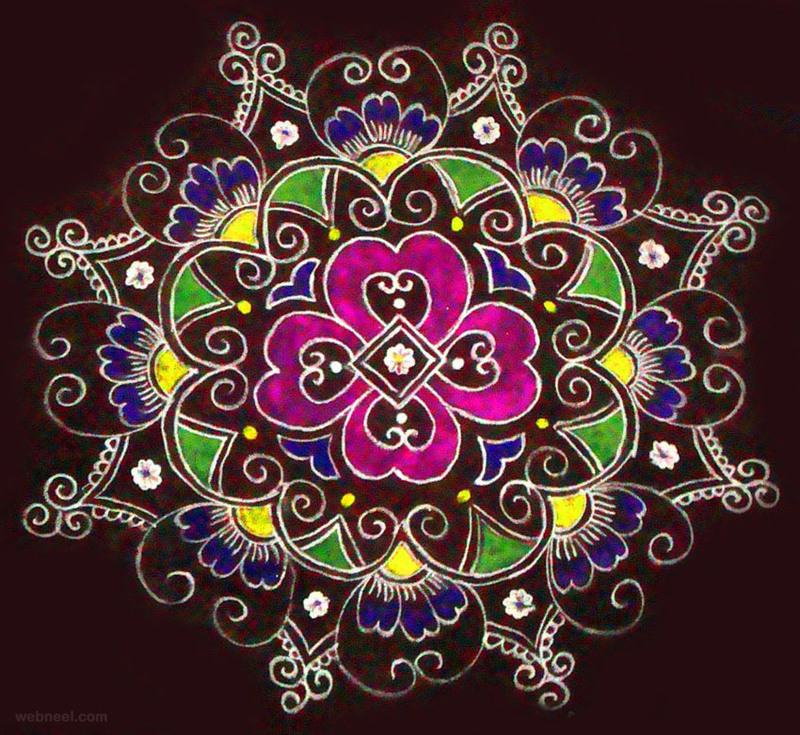 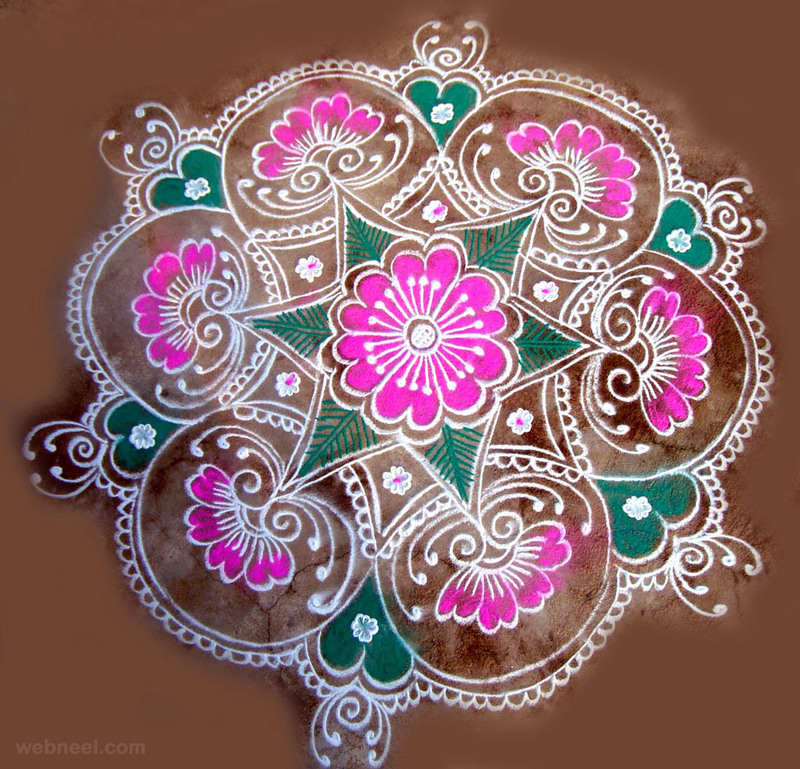 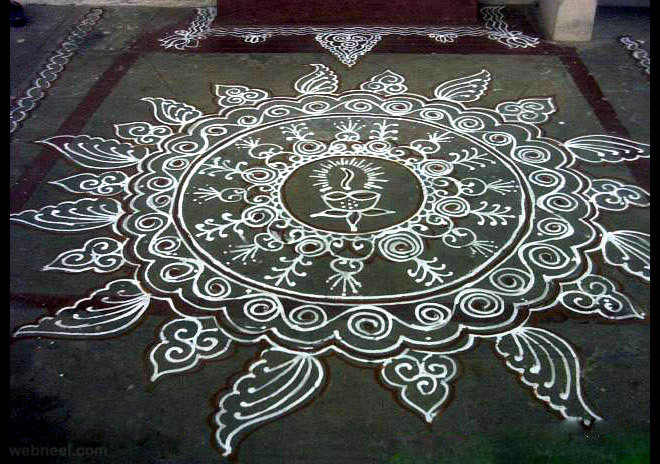 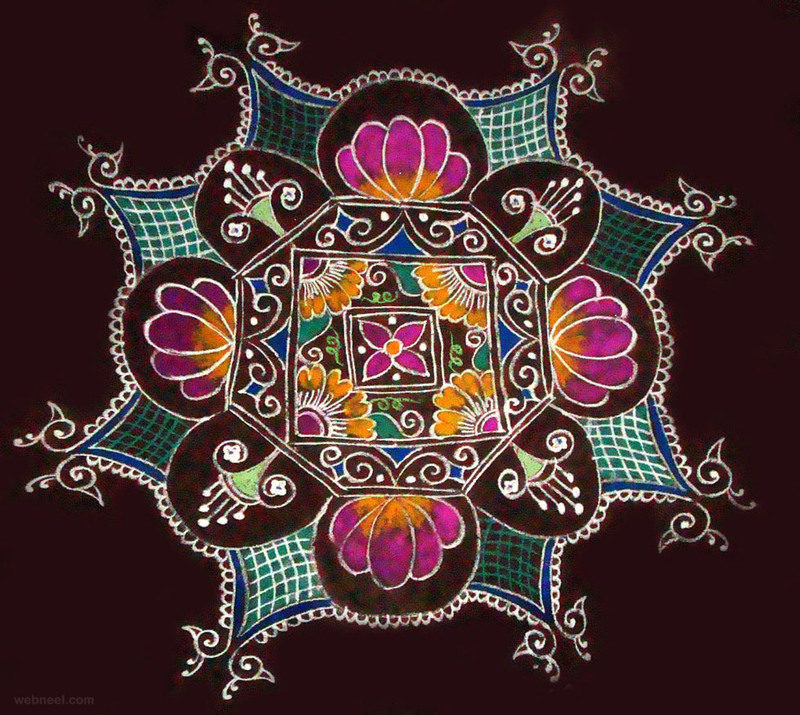 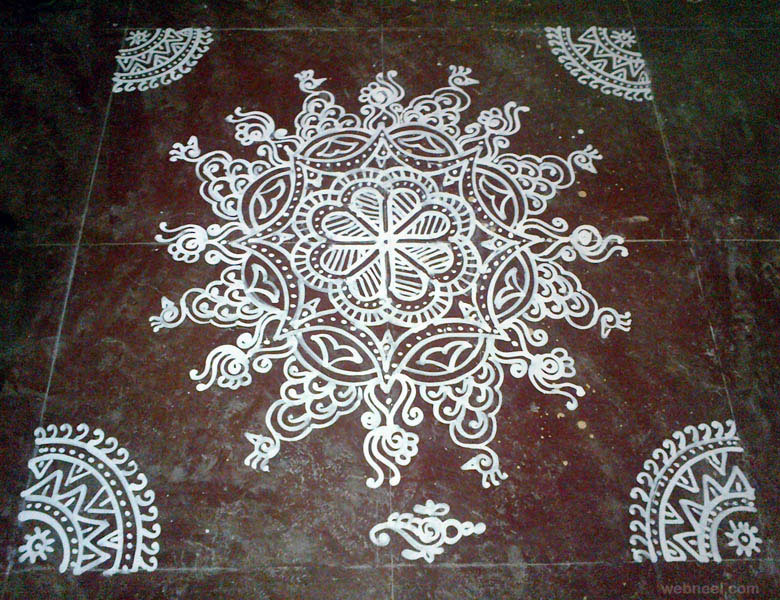 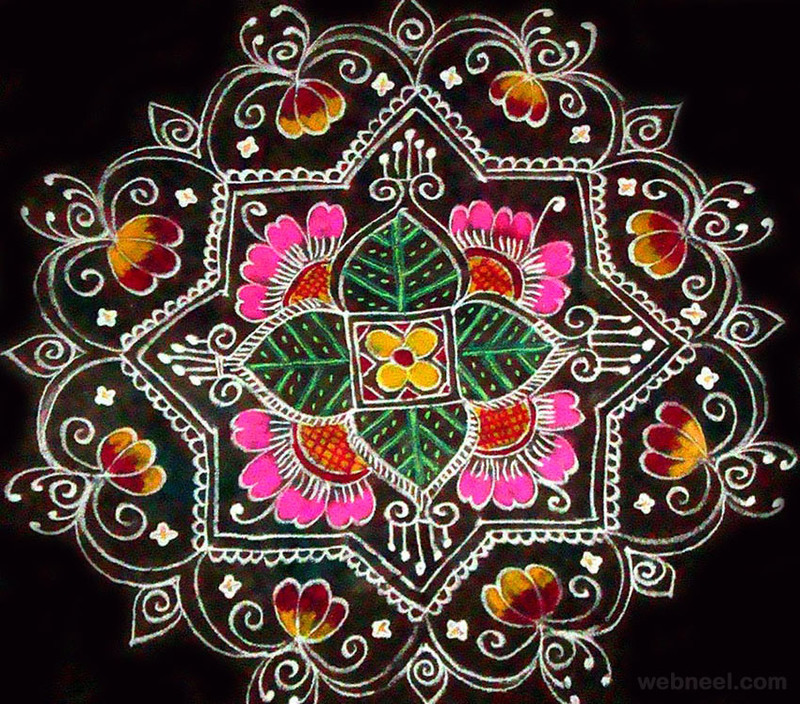 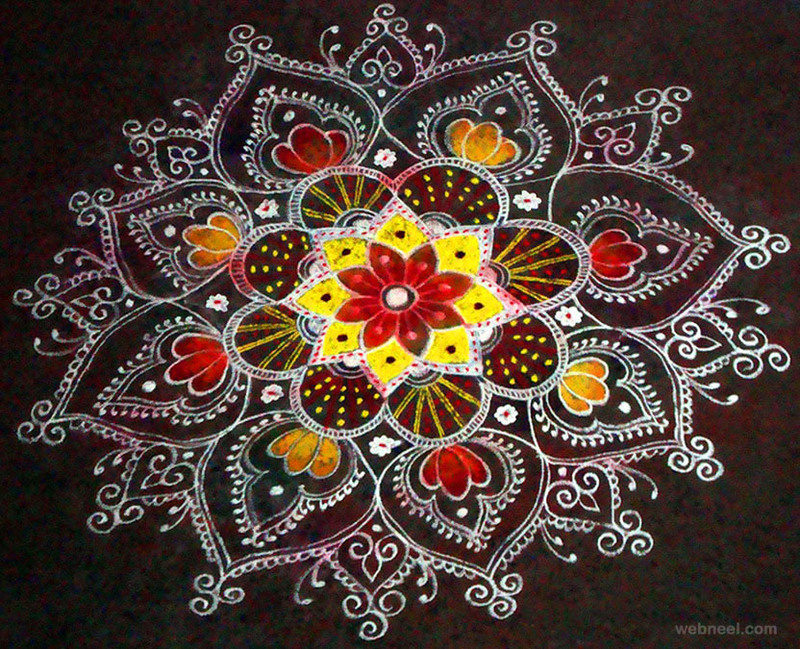 Indian rangoli is an unique art work which is practiced throughout India. 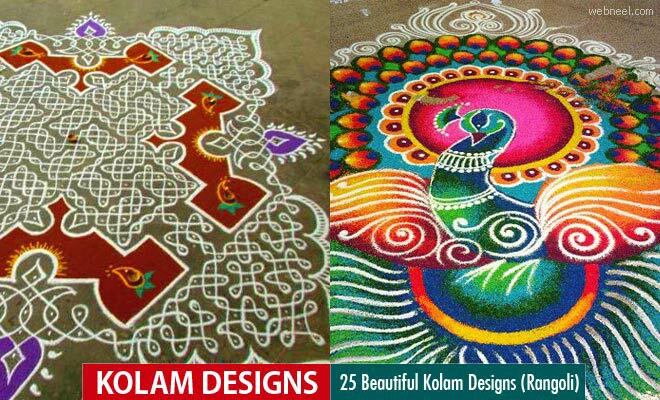 All houses are adorned with these beautiful kolam, kolam designs, rangoli kolams during special occasions like festivals, marriage etc. 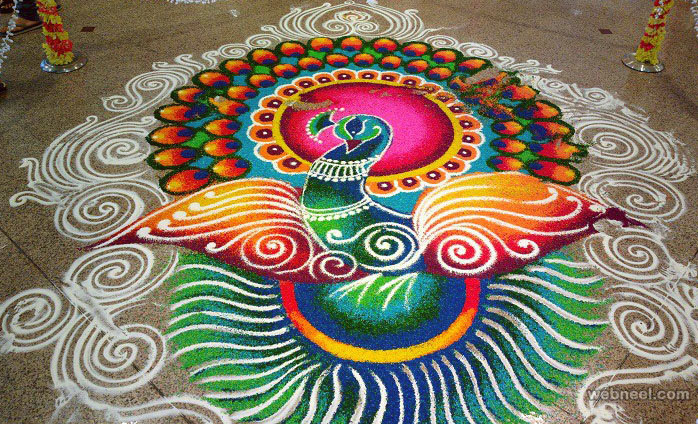 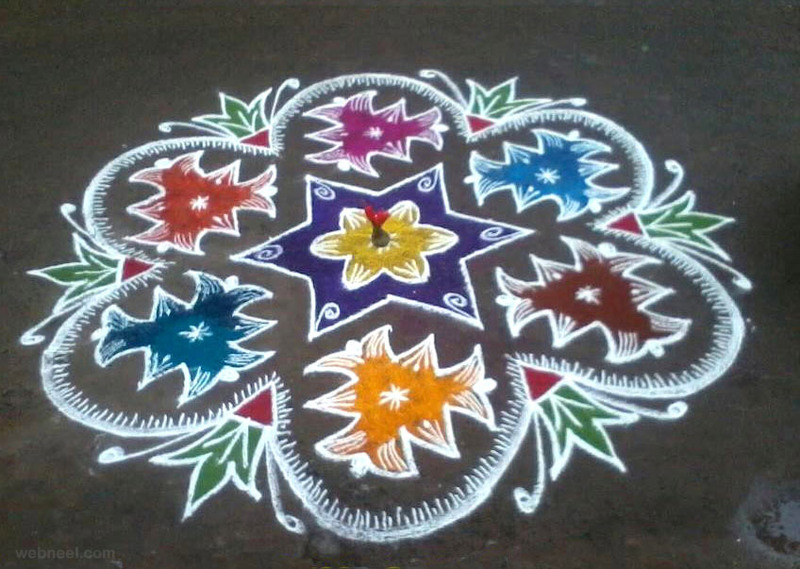 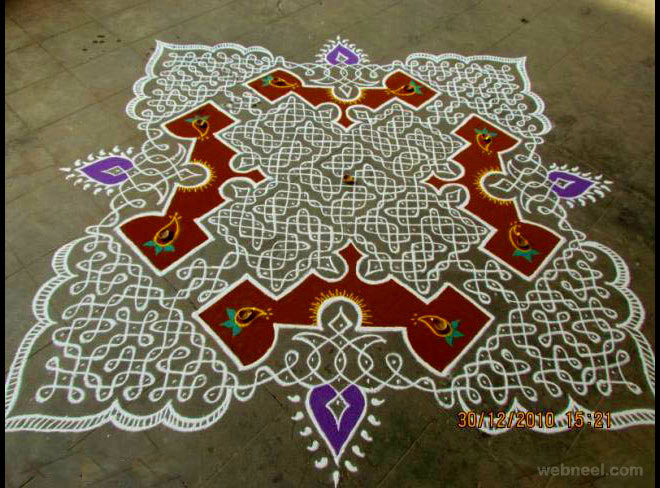 There are many rangoli or kolam patterns which are used to make colourful designs on the floor. 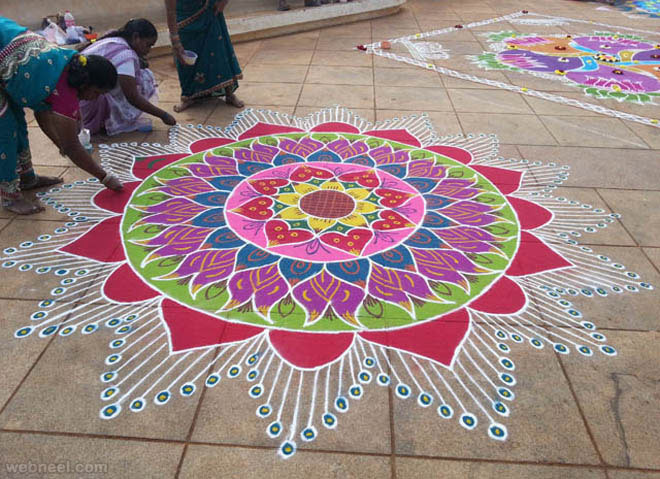 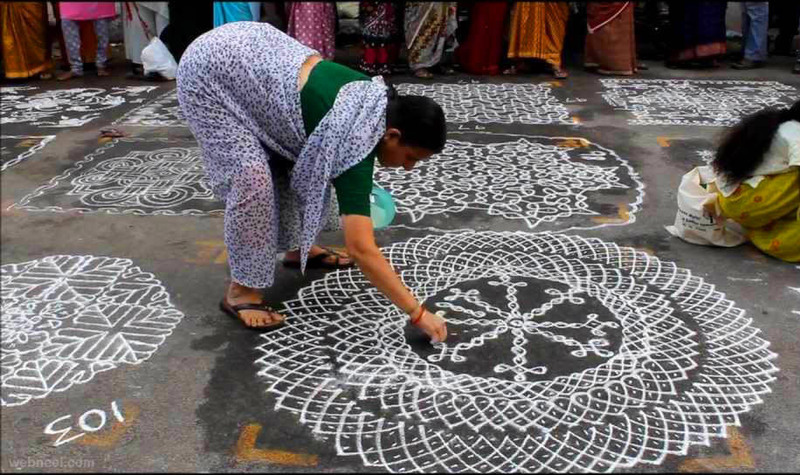 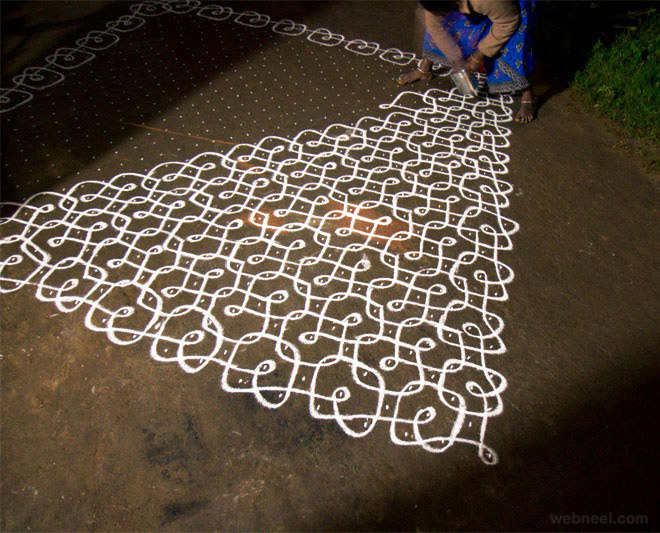 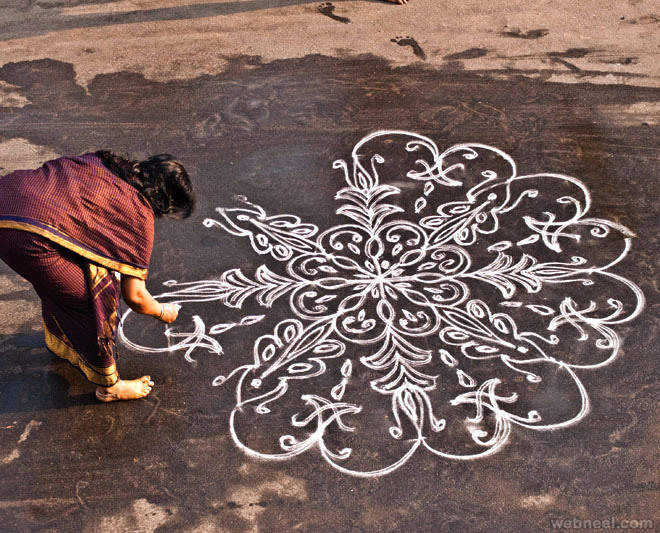 Kolam competitions are held every year to encourage this unique art. 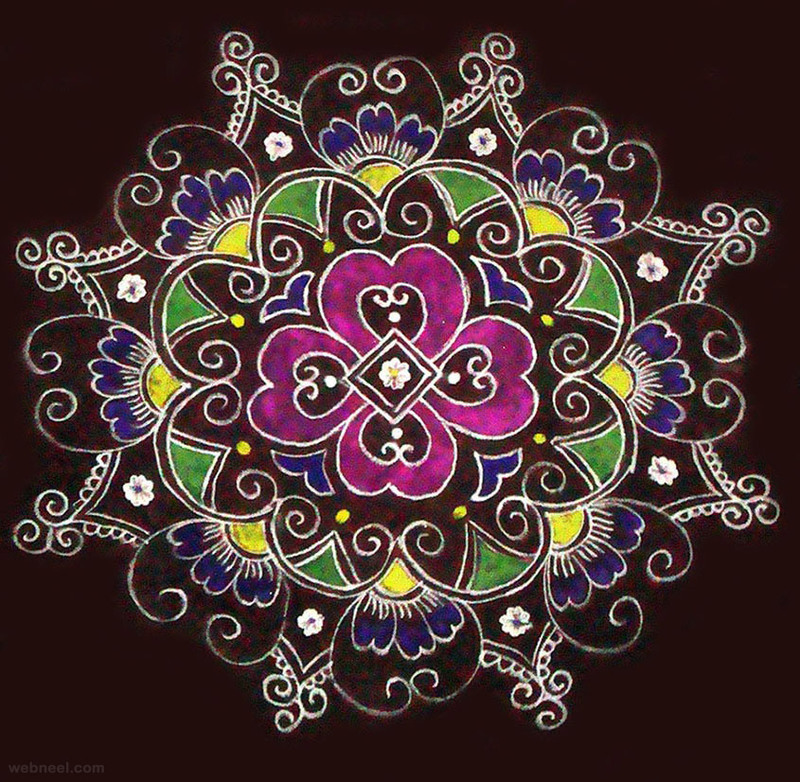 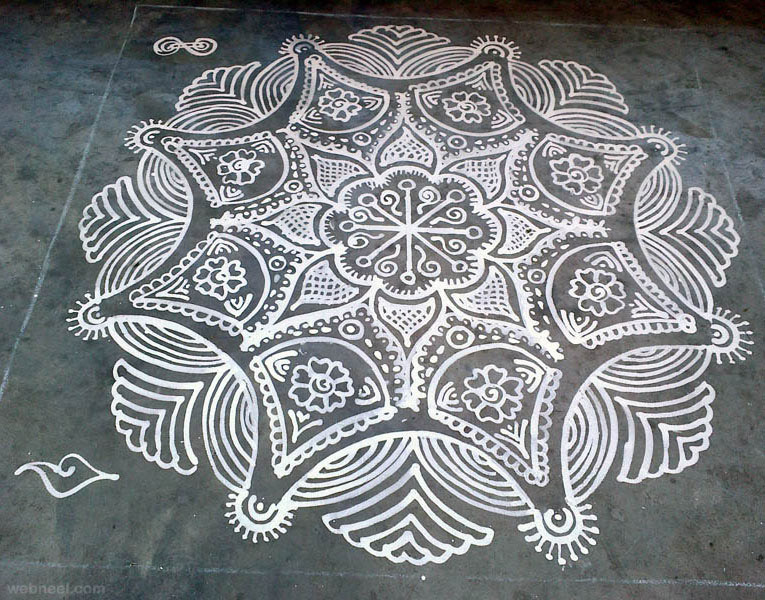 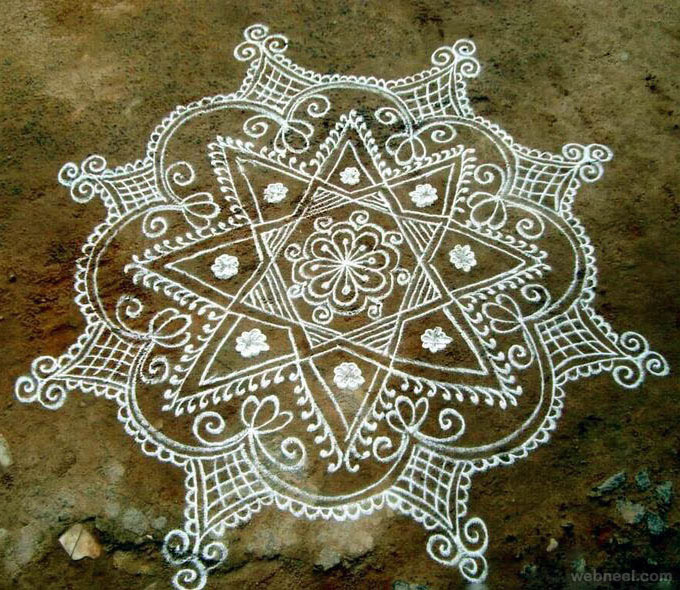 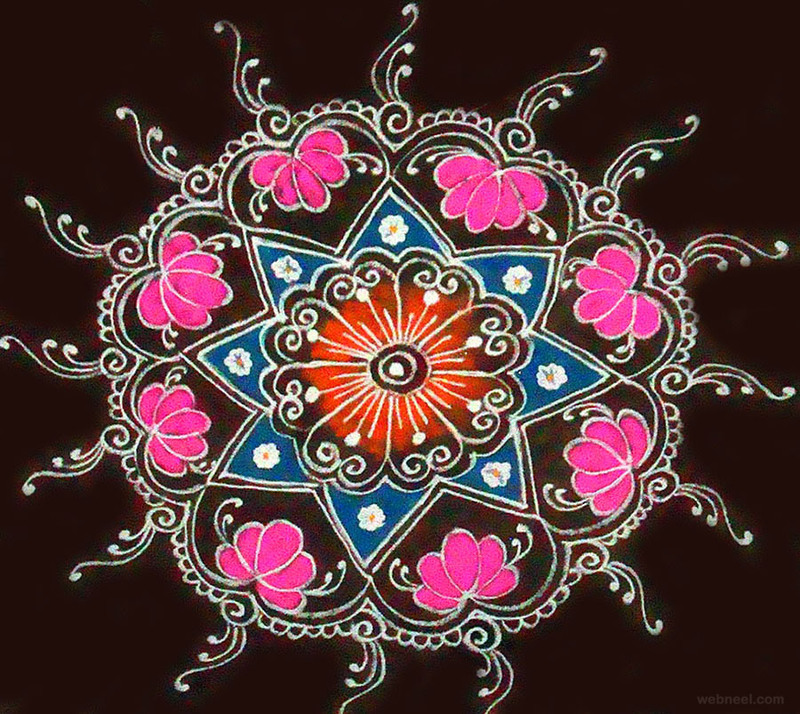 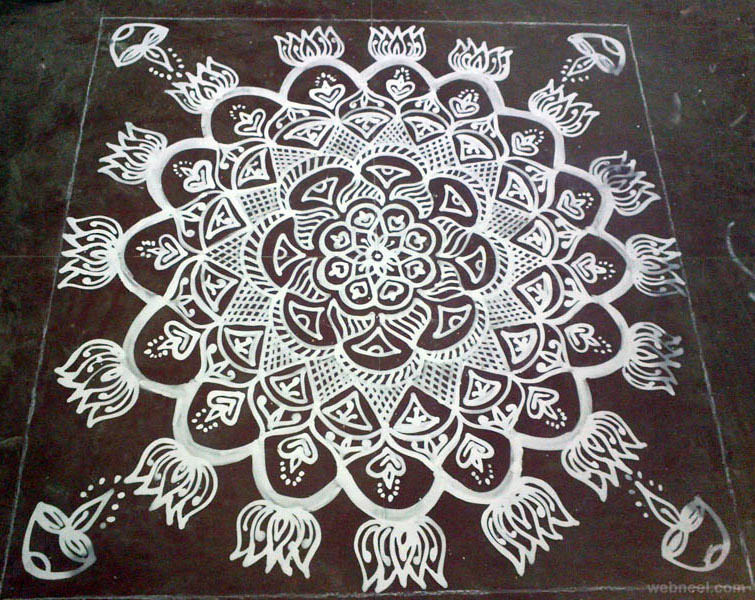 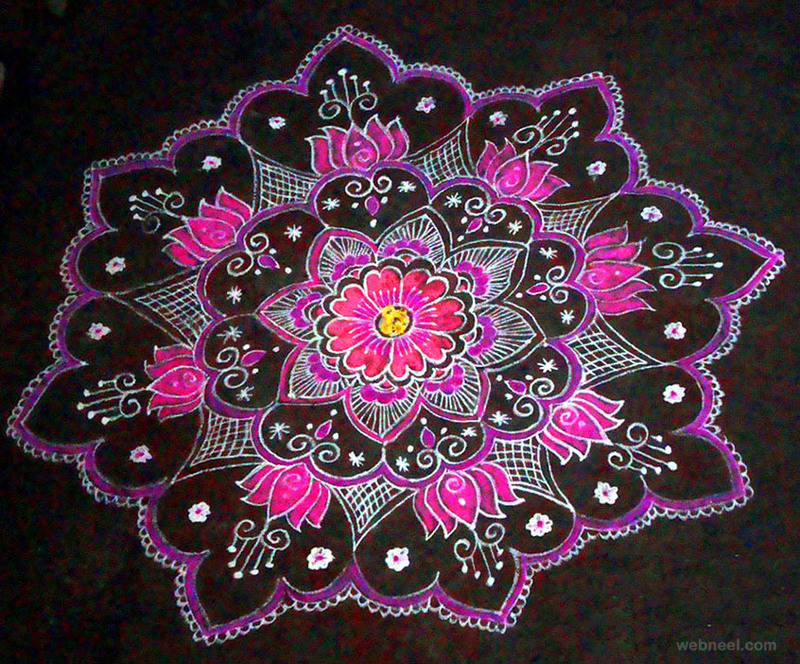 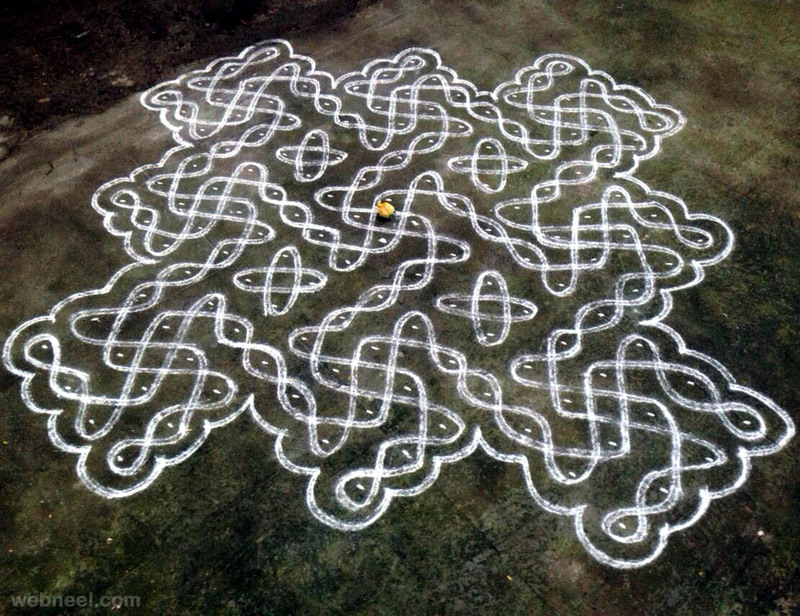 Here are a collection of Beautiful Kolam designs which you can try at your home.